The Fibonacci sequence was introduced in the 13th century in Italy by a famous mathematician Leonardo Pisan, also known as Fibonacci. This is a mathematical sequence of numbers that relates to all spheres of nature. The sequence looks like this: 1-1-2-3-5-8-13-â€¦ and continues in positive progression. Every following number in the sequence is a sum of two previous numbers, like 1 plus 1 is 2, 1 plus 2 is 3 and 2 plus 3 is 5, etc. In the roulette casino game, Fibonacci sequence offers a betting system that is in general less money-losing than the Martingale, but at the same time it is requires more time from the player. The sizes of bets here don't grow as dramatically, but still the system will require more spins of the wheel to finish the sequence. If the player loses, the bet size in the next round is increased, but not doubled. Instead, the player has to follow the Fibonacci sequence. For example, the player bets one unit first. If the bet loses, the player bets one more unit. With another loss, the player bets three units, then five, eight, and so on, just like the Fibonacci sequence proceeds. In case the player wins, the sequence doesn't end like in the Martingale system. In fact, what a player does is cross out the last two numbers that have won and continue with a new shorter sequence. For instance, the player may bet 21 units. In case the bet wins, the player crosses out 21 and 13. Then he or she has to bet 8 units. If the bet is won again, 8 and 5 are to be crossed out, and the next bet of 3 units is made. The sequence will end when the player gets back to the original 1 unit bet. Just like in the Martingale system, the player cannot play endlessly. 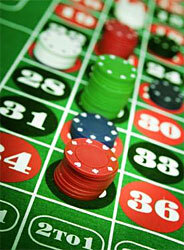 He or she may exceed either the betting limit of the casino or his or her own bankroll. It is recommended to start playing with low bets, because the following bets may still increase quite fast. The advantage of using the Fibonacci sequence in the roulette compared to the Martingale system is that the bets still remain lower as they aren't doubled. Still, it is important to limit the sequence duration to 6 or 7 subsequent losses in order to save your bankroll. The limitation of the Fibonacci sequence is that the player cannot cover all of his or her losses during the game, as it may be possible with the Martingale system. In fact, using betting system based on the Fibonacci sequence rather helps the player reduce the losses if the player strikes a bad patch.